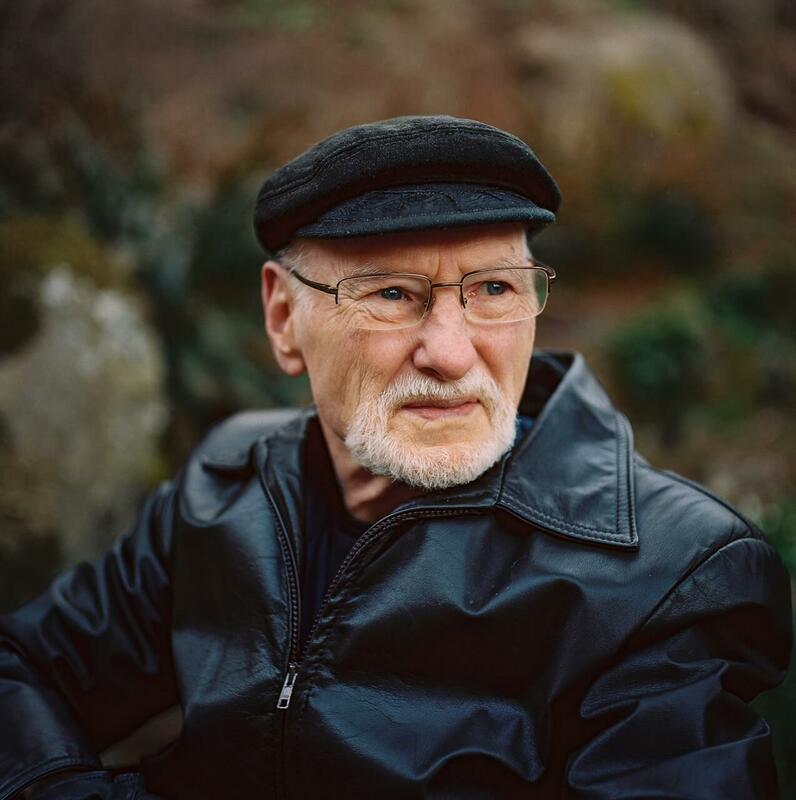 As a long time practitioner of the Intensive Journal® (I J) method of Dr. Ira Progoff, Bill has more than 40 years effecting his own life transitions. This is the same program that John T. Shields undertook as he made significant and transformative changes to his own life. This common link enabled a cherished personal relationship between Bill and John prior to John’s death in 2017. 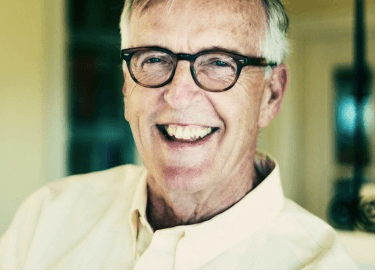 In his journey through three separate professional careers, Bill earned a Bachelor of Arts degree in History, a Masters degree in Theology and Biblical Studies and is now a Certified Facilitator for the international I J program. 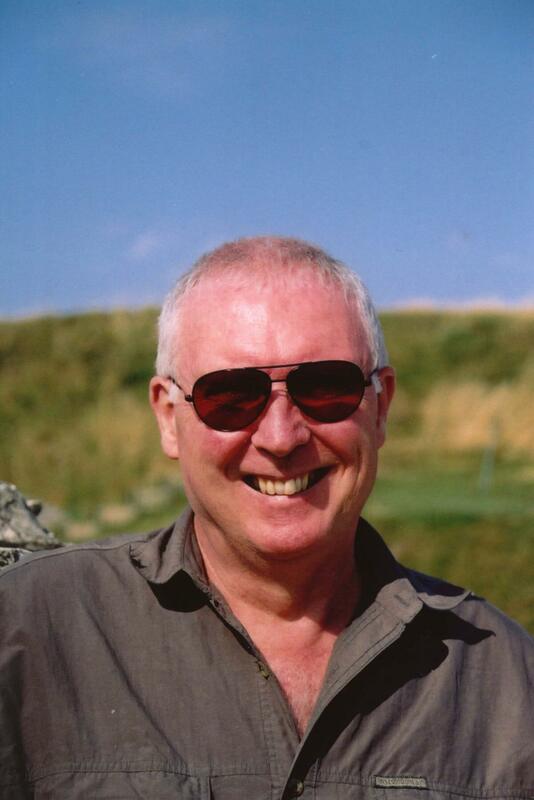 Transiting a number of influential personal calamities over his adult life, Bill brings the wholeness of his life experience to his work as a consultant and facilitator of the imaginative and transformative I J process. In addition to his work as the Co-Chair and Program Facilitator for The Centre for Earth and Spirit Society, Bill is truly engaged in the Victoria Community. He is a member of The Restorative Justice Coalition at William Head Institution and a Board Member of the Laren Society (operating the Bill Mudge Halfway House in James Bay). Bill also serves as a Board Member of The Church of Truth / Community of Conscious Living in James Bay and is a Past Board Chair and Honorary Life Member of the United Way of Greater Victoria. 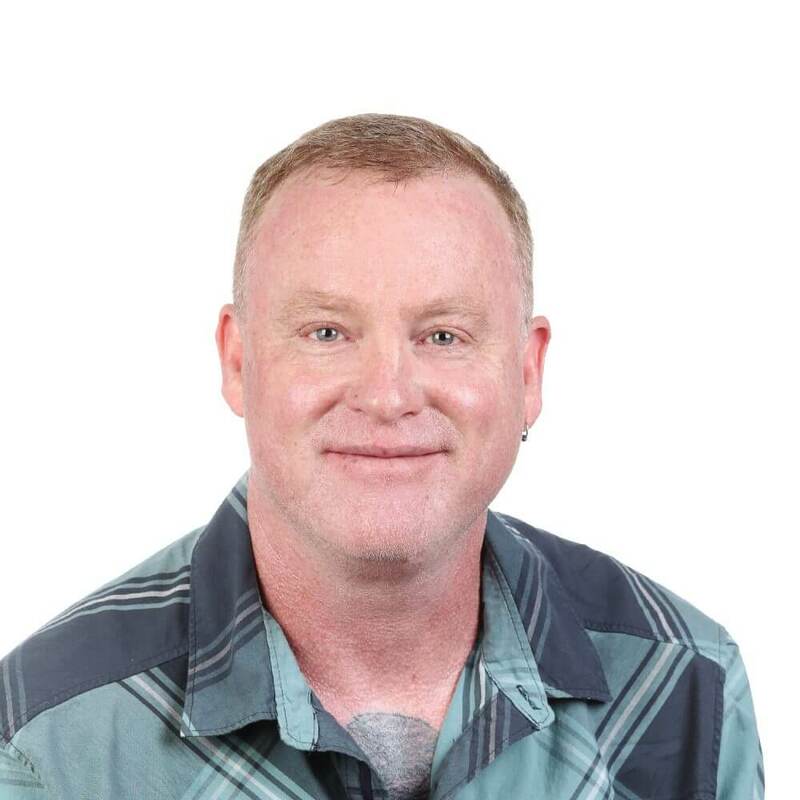 Randy has been pursuing the outdoor lifestyle for most of his life, inspired by his deep interest in and connection with nature. An early interest in mountains and mountain culture informed his deep desire to understand Buddhist practices. He is intrigued by how these practices work at the internal level of the mind, and how the mind functions in relation to the outer realm of the environment in which we live. Randy has practiced meditation for many years and believes that it is a valid tool that can be used to gain access that allows for a deeper understanding of who we all are, and the where and when that we all live in. I have always been passionate and committed to social change, seeking ways to work that are holistic, integrated, and seek to understand root causes. I have a background in holistic health and an interest in spiritual activism, reflective practices for practitioners and social change agents, and community-based mind / body / spirit wellness practices. I have been working for several years on the coast supporting First Nations communities to assume their rights and responsibilities to determine what happens on their territories through Coastal Stewardship Network. I am currently enrolled in the Community Health Promotion for Aboriginal Communities program at Vancouver Island University in an effort to integrate my holistic health studies in continued support of First Nations’ health and well-being. A lover of world wisdom traditions and participating in ceremonies honoring the life-death-life cycle from Mexico to Bali, Africa and the Amazon informs my work as a Life-Cycle Celebrant. Co-creating ceremony with couples and families in rites of passage, weddings, baby blessings, end of life and remembrance is one of my deepest joys. Fueled by a deep interest in our potential for being human’s kind, I facilitate multi-generational classes and retreats, combining Continuum Movement, Yoga, writing, painting and dream processes, also incorporating the work of my mentor Angeles Arrien (1940-2014), Cross Cultural Anthropologist, teacher and author of The Second Half of Life, 8 Gates of Initiation. A personal journey of healing trauma inspires an ongoing inquiry in nervous-system regulation and resilience as key to our kind future. The burgeoning field of Relational Somatic Therapy informs all of my work, through past and present studies with Emilie Conrad (1934 – 2014) Continuum Movement, Susan Harper Continuum Montage, Hubert Godard, Rolfer, Kevin Frank & Caryn McHose, Resources in Movement and CFTRE. 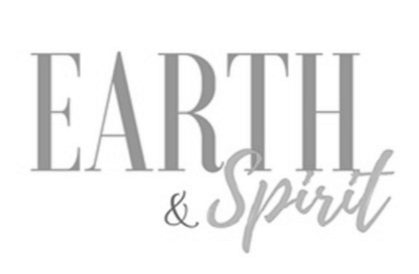 It is a sweet blessing and honor to co-create and facilitate programs with the Center for Earth & Spirit. 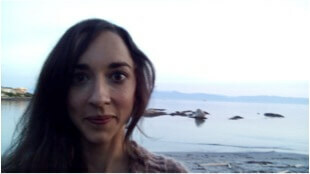 Robin is a cultural geographer, educator, filmmaker and activist/scholar. She worked for several years in Latin America supporting Mayan efforts to strengthen indigenous education and peace. During the past 30 years she has focused on supporting endangered peoples and landscapes, and creating strategies for educational renewal. Robin completed a post doctorate position at the University of Victoria on cultural keystone species research using digital storytelling. 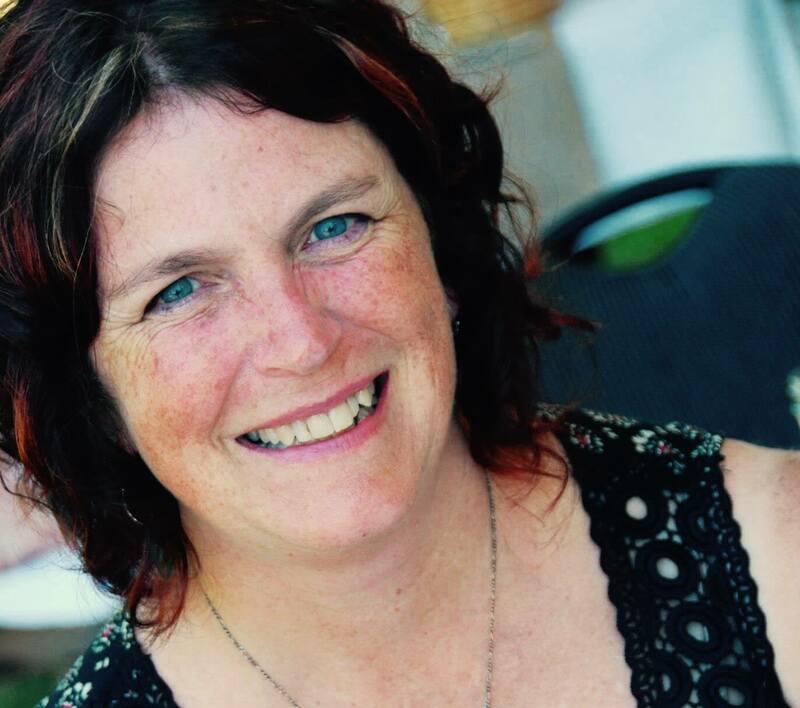 As a storyteller, social entrepreneur and compassionate communicator, Kim spent a decade and a half in the USA working with a diverse group of nonprofits leading social change initiatives. She has worked with urban, rural, inner-city and First Nations communities, facilitating innovative, arts- and adventure-based programs that focus on bullying prevention and anti-violence, restorative practices, community engagement, and using philanthropy to inspire social change. The recipe for her program success was the implementation of Speaking Circles and inviting the disenfranchised to become part of the conversation. The results have proven that when youth and other minority groups are empowered and invited to the round table, they demonstrate their ability to leader and capacity to become change makers. 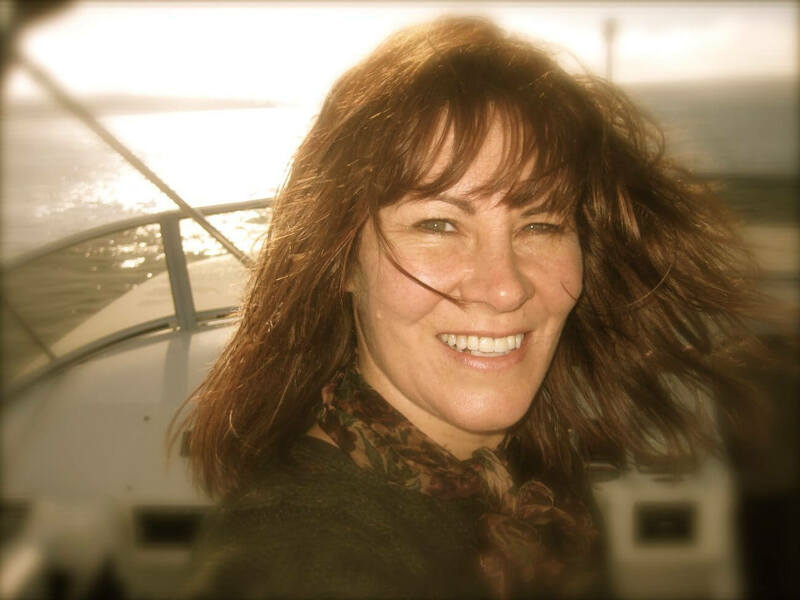 In 2010, Kim presented her story and the outcomes of her Speaking Circles at the World Conference on Restorative Practices in England. I am an earth walker, star gazer, indigenous rose inhaler, ocean swimmer, wild mushroom forager and a continuing student of nature’s wisdom and the cycle of life & death. My background includes working in the health field as well as being employed in various types of research projects for several decades. For many years I also managed urban agriculture programs and social enterprise endeavors in the non profit sector. Currently I am exploring various additional healing arts such as: music, dance, poetry, story telling, herbology, reiki, dreamwork, and spirituality. A continuing inquiry as to how healing arts can help heal us as, well as our surrounding community of people, animals, flora and fauna? We live on an incredibly dynamic land in very uncertain but potent times. I feel compelled to find ways to enhance and share my understanding as to how we and everything we know about (and don’t know about) is all connected. I am excited to join the CES team. Co-creating and helping facilitate these timely, interdisciplinary and collaborative programs is such an honour! Thank-you. This enthusiasm about Indigenous world views and educational styles has brought her to the west coast, as she learns how ancient, earth-healing wisdoms live on in local Coast Salish Elders. Alice is a doctoral candidate in the Language and Literacies Education program at the Ontario Institute for Studies in Education at the University of Toronto. 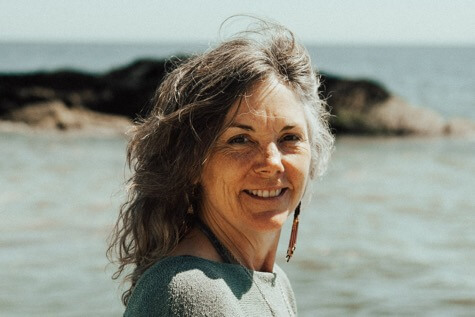 Alice has a keen interest in land-based Indigenous language education strategies, and is honoured to join the CES team as they approach exciting interdisciplinary topics involving spirituality, experiential learning, and self-development related to (re)connecting with the natural world. A biography of life’s canoe journey – Alice’s canoe journey of life began during lakeside explorations with her grandmother, and today, she follows in the footprints of her passionate, eco-minded parents. With a background in theoretical linguistics, Alice has canoed with First Nations communities engaged in celebratory language resurgence projects. In Memoriam: John Shields was the Chair of the Board of Earth and Spirit from 2006 – 2017. He was the Director of Operations at the Land Conservancy of BC and was the former president of the BC Government and Service Employees Union (BCGEU) where he led the union through a process of deep transformation, doubling the membership by organizing public and private sector employees with the goal of employment equity for women. After leaving the priesthood his interest in social work and social justice led to increasing involvement in unionwork. In 2011 he published, The Priest Who Left His Religion – In pursuit of Cosmic Spirituality and taught negotiations and labour relations at Vancouver Island University. John’s interest was in the transformation of the current materialist worldview, to align it with recent discoveries about the universe. This consciousness led him to revamp his own spirituality. He understood the radical responsibility that we have to bring a new world to fruition. John believed that we live on the cutting edge of an expanding universe, and that this current moment is the only time there is to co-create the world. He was passionate about the realization that everything is interconnected in a conscious and living cosmos. John was a trained IONS facilitator in Conscious Aging. Grant hails from England, Norway and Southern Bohemia. Most of his life he has been in office work, auditing and dealing with financial accounting matters. He has a deep interest in writing, journaling and exploring part-time work opportunities that pique his interest. Grant was a member of the Well Foundation, which joined forces with Centre for Earth and Spirit, and is exploring, with others, how we can change and adapt our old world consciousness and ways of thinking into a new, higher awareness and mindfulness that is more relevant and more vital to the ‘New Story’ that is evolving. 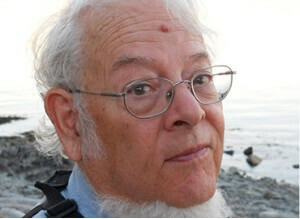 Michael is a retired psychotherapist who lives in Sooke with his wife Beverley. He is strongly committed to finding ways to meet the challenges of a rapidly changing world in a positive and constructive way through his work as the Program Director for the Well Foundation, his role in the Sooke Transition Initiative, and his work as a facilitator with the Pachamama Alliance. Michael sees that the issues of resilience and sustainability are key factors in shaping effective responses to current and future challenges facing our societies. At the same time, Michael senses that bringing together the cosmology offered by modern science with the ancient sources of wisdom is essential for the renewal of our civilization. It’s true to say that Val has 31 years of teaching at the elementary and university levels in B.C. 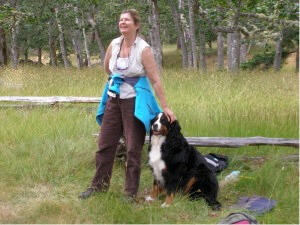 She is a wife of 36 years, the mother of one son, a happy resident of Cordova Bay, an avid reader and sometimes writer. Since retiring in 1996, she has honed a dedication to the Way of Council as a life practice and to developing intergenerational programs that have reciprocal mentorship at their heart. She is an early elder who strongly believes that the personal narrative speaks to universal truths about the human experience. It is also true to say that Val was born to the giant cedars, ocean and mountains of Stanley Park and that she feels a kinship to all beings. Her passion for animals and their well-being is an enduring thread through her life journey. She is drawn to connect with new ideas that hide just below the surface of ordinary consciousness and to manifest visions that have not been seen before. She is a pathfinder who loves the elegance of language that gets right to the heart of the matter. Helping others see their own uniqueness gives her great joy. Retirement years have brought her in touch with her true essence, often rubbing elbows with instructive shadow beings in the process. Daily, she listens for teachings of the Earth to speak through her intelligence, deepening her awareness, as Bill Plotkin says, “of being indigenous to Earth and thoroughly rooted in the land”. Bev is a retired Administrative Assistant and Program Coordinator of the Faculty of Continuing Education, The University of Calgary. Over the last eight years of her career, before retirement, she worked closely with the Associate Dean in several areas including adult education programs, The Certificate in Adult and Continuing Education (CACE) and the Masters of Continuing Education. Prior to working at The University of Calgary, Bev was employed by School District #18 Golden, BC and subsequently Strathcona-Tweedsmuir, a private school near Calgary. 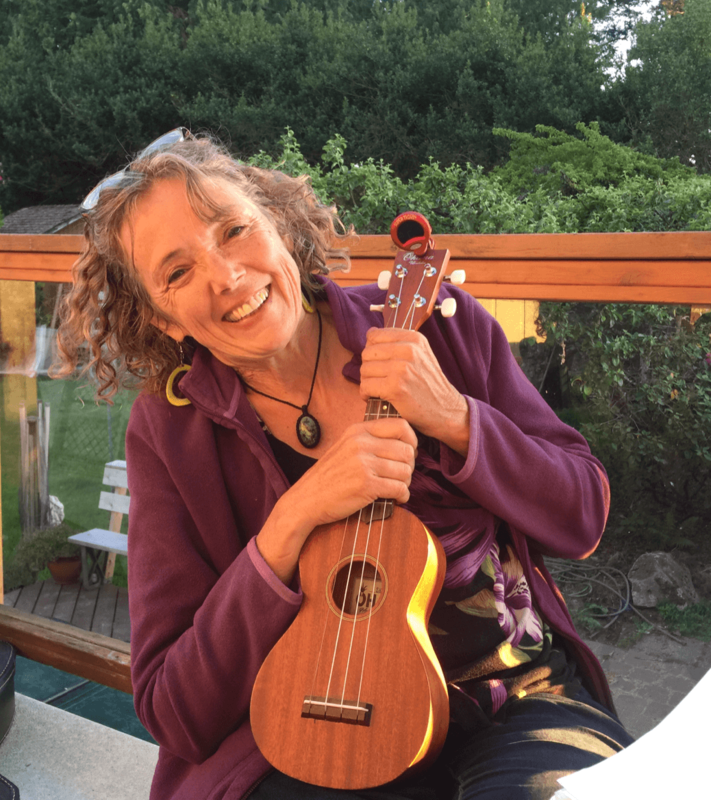 Since moving to Sooke with her husband Michael she was involved with the Well Foundation, The Sooke Food CHI, Sooke Garden Club and was the Secretary for the Centre for Earth and Spirit Society.